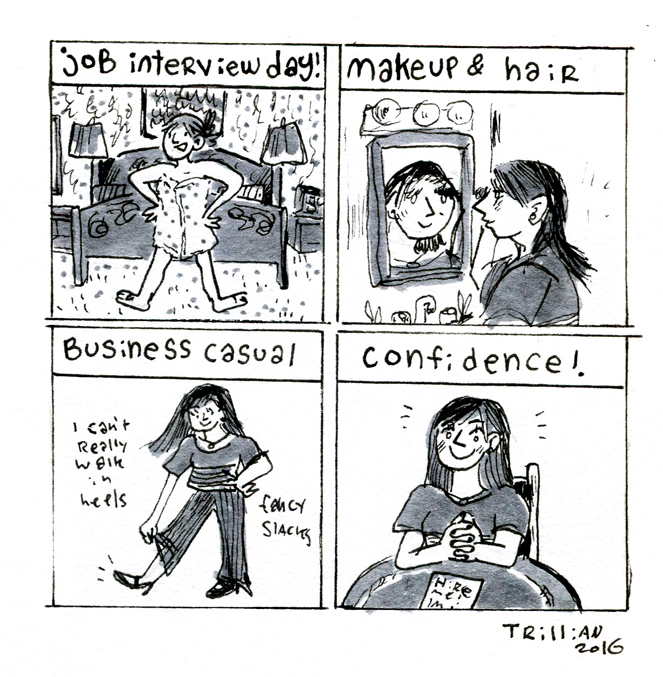 Comics drawn during and sometimes about my early 2016 unemployment. Getting back into the comic making groove! 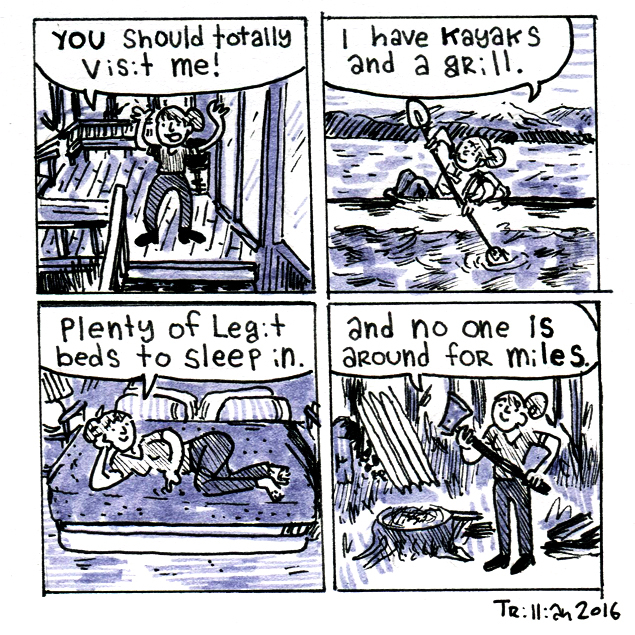 Dominantly autobiographical comics about my life as a Port Townsend housekeeper, Olympic Peninsula hermit, and all things in between. Uploads daily when possible on my Instagram @TotallyTrillian.